During the last couple of decades, intelligent control of large-scale internal combustion engines has been subject to increased attention. Technological advances have, for example, made precise adjustments of individual cylinder injection durations and timings possible thanks to electrical control of cylinder valves. Another factor that has contributed to the development is the demand of stricter emission control, in order to minimize the various by-products resulting from the burning of fossil fuels. Cylinder balancing is one important application of intelligent control for internal combustion engines, where advances have been made lately. Apart from reducing emissions, cylinder balancing serves the purpose of minimizing torsional vibrations that propagate through the engine crankshaft. It has been shown that cylinder balancing methods based on frequency analysis are able to significantly reduce torsional vibrations in the engine crankshaft (Östman, 2009). Within intelligent control of internal combustion engines, there are still several aspects related to the system dynamics that need to be considered for better modelling and estimation. One such topic of interest in this research is multi-engine balancing, where a number of engine-generator sets are interconnected to a small-sized grid, which results in load fluctuations due to interactions between the engines. Within cylinder balancing, our research has focused on creating and implementing a time-domain balancing method, which has certain advantages compared to frequency domain balancing techniques. One goal will be to improve this method further by utilizing cylinder pressure measurements in the balancing, as well as modelling and simulating the effects of a non-rigid crankshaft. Östman, F. “Cylinder Balancing of Medium-Speed Internal Combustion Engines”. Academic Dissertation, 2009. 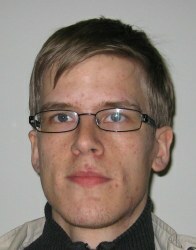 John Eric Saxén is a PhD student at the Embedded Systems Laboratory at Åbo Akademi University.